If you use both a Mac and a PC, perhaps Windows at work and a Mac at home, you’ll know that while they do similar things and in many cases run the same applications, there are lots of differences between the two. Switching between Mac and PC can be frustrating, but with the help of the tips we’ve listed below, it will be a lot easier. If you use lots of keyboard shortcuts on your Mac, you’ll know that they don’t work on a PC. That’s because most common keyboard shortcuts on the Mac use the Command key and there’s no equivalent of the Command key on a PC keyboard. Windows keyboard shortcuts tend to use either the Control or Windows keys. Lots of shortcuts that use the Command key on the Mac can be replicated on a PC by swapping command for Control. For example, copy and paste on a Mac is Command+C and Command+V. On a PC, it’s Control+C and Control+V. So if you want to use a keyboard shortcut on a PC, try using the same shortcut as on the Mac, but with Control instead of Command. Application windows work differently on a PC. While on Mac, clicking on the red button in the top left corner closes the window, but leaves the application open, even if all the windows are closed, clicking the red button on the last open window in a PC application quits the whole application. It’s worth remembering that if you don’t want the application to quit, you should keep a window open. This is one that frequently frustrates Mac users. While in macOS, you control when system updates are installed — via the Updates section of the Mac App Store — Windows system very often takes it upon itself to start updating your PC, seemingly at random. When that happens, there’s not a lot you can do except go and make a cup of coffee and wait for the update to finish. MacOS and Windows have different system fonts installed. For example, you won’t find Calibri on a Mac, or Helvetica Neue on a PC. There are, however, several fonts that are common to both. If you start working on a document in, say, Word, on one system and plan to switch to the other, and want it to look the same on both, you should choose a font, such as Arial, that’s available on both. File Explorer and the Finder do very similar jobs – they allow you to organise, open, move and remove files. However, they do it in very different ways. Sure, you can drag and drop files between folders in both systems, and you can create shortcuts to folders in both. In Windows, though, there are tools in the toolbar for copying, pasting, and moving files, whereas on the Mac, to copy and paste files, you need to either use a keyboard shortcut or Control-click on a file or folder and choose an option from the dropdown menu. Mac has supported the same protocol - SMB - for connecting to servers as Windows does for several years now, though it also still uses Apple’s proprietary file protocol AFP. 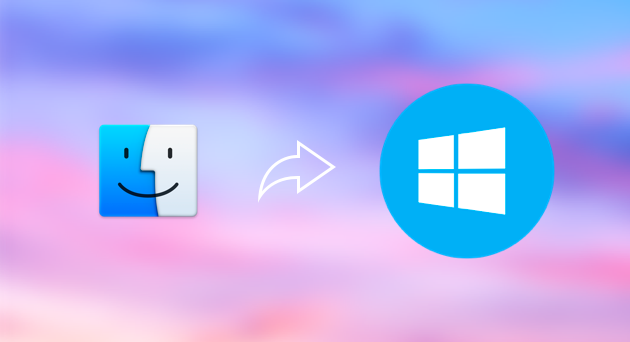 If you use SMB to connect to the same servers on a Mac and PC, you can just copy and paste the “SMB:” address from File Explorer to the Finder’s Connect to Server window — with one important change. In Windows, directories on servers are separated by a backslash. In macOS, it’s a forward slash. So, when you copy a server address from Windows PC to Mac, you need to swap the backslashes for forward slashes, and vice versa. On a Mac, most applications don’t come with a dedicated uninstaller. To get rid of them, you need to drag them to the Trash and then track down all the associated files and delete them manually. Or, you can use a dedicated uninstaller. On Windows, most apps have their own uninstaller that can be run by right-clicking on an app. However, even those uninstaller don’t always track down and remove every file. And apps downloaded from the Windows Store are more difficult to uninstall. 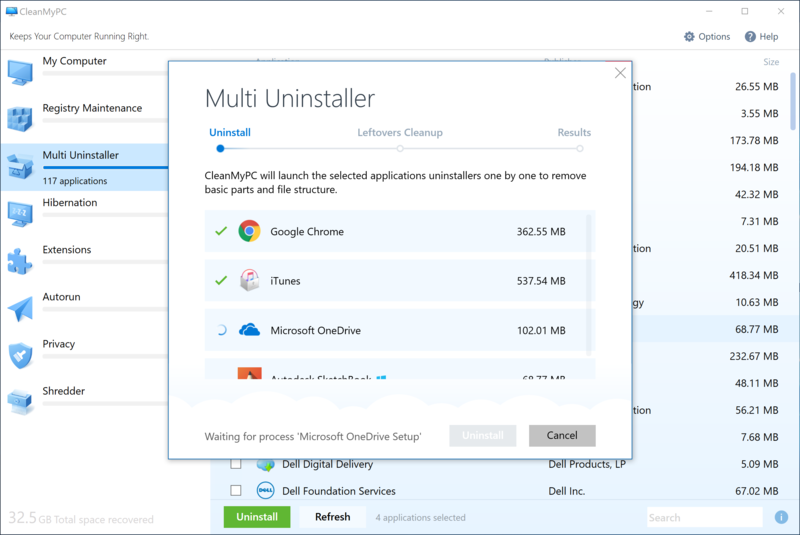 The solution for a PC, is to use CleanMyPC Multi Uninstaller, which makes it very easy to uninstall several apps at a time, thanks to its Multi Uninstaller tool. On both Mac and PC some applications will launch and run immediately on startup. This can increase the length of time it takes your computer to startup and is often unnecessary. To stop applications launching on startup on the Mac, go to the Apple menu, choose System Preferences and click Users & Groups. Click the Login Items tab, click on the item you want to stop running on startup, and press the “-“ key. On a PC, you can use CleanMyPC Autorun module to prevent applications from running automatically. As you can see, there are lots of similarities between Mac and PC, but lots of differences too. You may need to retrain your brain a little to use different keyboard shortcuts, but overall, switching between Mac and PC, even if you do it several times a day, is very straightforward.